It was a sunny morning with a few clouds that mellowed the sun’s bright rays. I remember standing on an ornamental yellow brick bridge with a stream flowing under silently, in a park with little hills of fresh green grass spanning across the horizon. I know there were people in the park, however, they were far away from where I stood. On the right, about fifty metres away, my eyes caught sight of large canopies of bright red Gulmohar flowers. Under the shade of the Gulmohar tree, I saw big snake-like creatures piled up on top of each other. There were four of them. The next moment I find myself standing next to the snakes whose heads or tails I could not see distinctly. I remember they were black, brown, one had patterned white and black scales and another had patterned brown and golden scales. They seemed like pythons, who were sleeping with their stomachs full. I walked over to those snakes. I do not remember being scared of them. On getting a closer look, I spotted a discarded white skin—one of the snakes had moulted. I remember thinking that this skin did not seem to be freshly shed. This—a dream. In the conscious world, I am terrified of snakes. Pythons, I am told, can sleep for days when they are full. When I think of the pythons in my dream, I wonder since when they had been in their stupor. I wonder what these pythons were full on. I wonder about the skin that had been shed by one of them. Is shedding away one’s skin like taking off one’s mask? What does taking off the mask mean? Amidst all these questions, a thought struck me. I wondered if the pythons were full of the truths that I have often disowned. The aspects of reality I chose to turn away from. This thought led to me fearing about what will happen when these pythons full on disavowal wake up from their stupor, hungry and ready to devour? Will then the suppressed truths threaten to come out in the open? All of us have been in situations where we have unwillingly agreed to do things. For instance, we may have been party to a ruthless prank played on a friend who is petrified of darkness, just because everyone thought it would be funny. Or laughed along with the person who cracked misogynist jokes because resisting would be inconvenient and cause awkwardness. We may have let colleagues take the credit for work that we have done or allowed someone to take a free ride on the hard work of another person. I have been on both sides. I have taken advantage and been taken advantage of by other people, especially at workplaces. I would usually “go with the flow”, as that made life convenient for me. I have avoided confrontations in order to maintain relationships. I have thought silence at times was a better option than voicing my opinions, especially those in disagreement with the popular opinion. I learnt the art of being a likeable person during my childhood. It was simple- resort to “politically correct statements” and voice fewer disagreements, make fewer dissensions. I observed that the act of questioning and disagreeing with people was not well received, so I adopted silence or agreed with the popular opinion. A non-rebellious posturing took me a long way, right into my adult life. However, with time, I realized the collateral damage sustained by doing this. During the course of my research in 2017, in a village in eastern Madhya Pradesh, I experienced the damage I had caused myself by keeping silent in the face of injustice. I saw a blatant instance of jati-based discrimination in the village. It was an adivasi village where people belonged to different jatis or social ranking based on origin. However, the village was supposedly egalitarian and did not practice jati-based partisan as is wont of adivasi communities. But at a sarvajanik event, where the entire village came together to prepare and share their meal, the members of a less privileged jati were offended when their food was not accepted by a small group of privileged families. The offenders were inured to arcane notions of jati-based pollution. This offensive gesture hurt the sentiments of the less privileged community and they in turn demanded an acknowledgement of the offence and an apology. While the village community sympathised with the offended, less privileged party, the elders of the village and the dominant members decided to pardon the offenders and let them go. They argued that taking the matter further would have disturbed the relationships of various families at the level of social interactions, engagements and collaboration. Being a spectator to this suppression of voice, of dissent, I was left feeling disgruntled, helpless and with a looming sense of betrayal. After all, why should I not have? I was assured by the village elders that the matter of jati-based discrimination would not be tolerated, but within five days from the event the offenders were let off without any punishment and the offended community said that silence and compromise sometimes is a better solution than raising voice against the powerful and influential people. The matter left me feeling dejected. Their plight triggered uncomfortable memories from my past, where I had suppressed my voice to avoid trouble with people. There are countless times when I have had to bear lewd comments on streets and public transports for the clothes I wore and have in those instances, enraged, wished to respond in a manner befitting the situation. Yet, I resorted to silence to not “make a scene” or was scared of not finding anyone by my side. I have swallowed words around people I’ve called friends. I remember a time in 2010, when a close friend taunted me about my origin. I was born and raised in Delhi and take pride in belonging to the city. The friend accused people of Delhi of being pretentious, snobbish and extravagant. Although the comments weren’t directly aimed at me, I felt her sweeping view of people of Delhi was a direct rejection of who I was. However, instead of confronting her or offering my opinion, I let it be. I repressed the urge to give a retort. Now I wonder if all that repression did me any good. After all repressed emotions fester as ulcers, don’t they? With time, I, for instance, became resentful. I was left with a constant feeling of being unsettled with a sense of anguish and anxiety. The self-repression has been so grave that sometimes I haven’t been able to contain my anger and exploded with emotions at the slightest provocation. These angry outbursts unfortunately would often happen at the wrong time and possibly be directed at the wrong person.. Observing politically correct silences has gotten me nowhere so now I want to engage with how I can make room for dissent. In the beginning, I took the easy route. I began being honest with people I wanted to drive away from my life. I felt lighter cutting off the excess baggage, releasing the negative energy into the universe. For instance, I have vociferously resisted misogynist and sexist behaviour at work space. I have started voicing my disagreements with my friends and family too. With them, I am moved by a hope that disagreeing respectfully might actually help my relationships. They will either take a constructive turn or end for better of all. Currently, my experiments with dissenting are not radical enough (or maybe I am being too hard on myself). 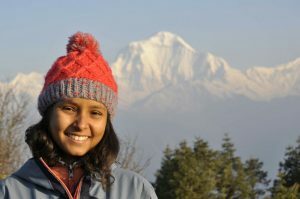 I work for Prayas CLRA as a Coordinator for Research and Documentation. As an action researcher, I have worked with the Adivasi communities of central India to engender critical thought around imaginations of development. After completing an M.Phil Development Practice from Ambedkar University, Delhi, I have been working with diverse Adivasi communities to understand social dynamics and stratification through the lens of kin ties. Driven by curiosity, I'm always on a lookout for newer experiences and I am keen on understanding why people do what they do- which is why I like to wander off every now and then to newer places.